Earlier this week I posted these Articles of Society coated denim jeans that I wore to the Lacoste party. Welp, here I am wearing them again! The color is just that fabulous. I’m not sure what possessed me to wear an all leather ensemble in 84° weather but I did…I guess I was just really feeling fall. The burgundy color is so fall, I’m praying for cooler weather to hit Florida sometime soon. 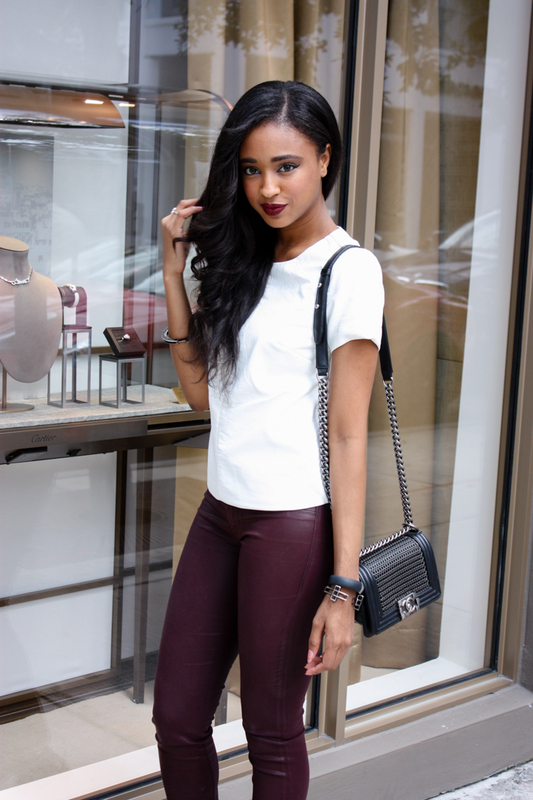 The burgundy pants are hot and I love the bag too. I’m sending cooler weather your way so you can continue to wear these pants all fall! Love the AOS coated jeans! they look great on you! These pics came out super cute!